Are you having trouble with blocked or slow flowing drains? 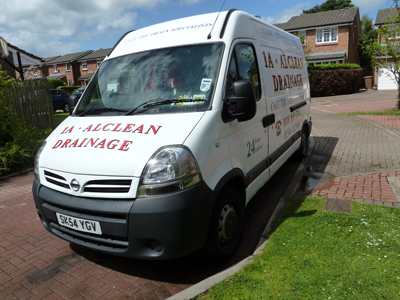 If you are experiencing any kind of drainage problem, then call the drainage specialists at 1A Alclean Drainage. Based in Livingston, we will travel anywhere within a 40 mile radius to reach both domestic and commercial customers in Edinburgh, Glasgow and the Lothians. We work hard to be one of the most dependable drainage companies, price matching any other company. We are available 24 hours a day, 7 days a week as we understand how important it is that your drains are free flowing at all times. We’re a family-run business, and pride ourselves on our excellent reputation and dedicated customer service. We provide a free no obligation quote and all new work comes with a guarantee. Please visit our Services page to see further details. To speak to our friendly team, please call us today or send us an email through our Contact Us page and we’ll respond as soon as possible.